A new eating trend is popping up on the doorstep of the Peking duck, and it has nothing to do with meat, but plenty to do with a generation of young, rich, health-conscious consumers. Sarah Marsh and Thomas Hale restaurant-hop in Beijing to find out more. An array of colorful and carefully put together dishes is brought to the table. All of the traditional Beijing favorites are there, including a round tray filled with pancakes and strips of cucumber served with a hoisin dipping sauce. However, instead of Peking duck completing the dish, diners are served something quite different. They are instead presented with beancurd skin, milk curds and toon tree shoots. It might sound unusual but vegetarian food like this is taking over China's capital. A growing number of restaurant-goers now opt for vegetarian dishes over meat. The dish imitating Beijing's world-renowned Peking duck is served at the Gingko Tree in Sanlitun, a restaurant that opened on Oct 5, 2011. According to its owner, 32-year-old Wang Rui, when it first opened, the restaurant welcomed 20 visitors daily, but this number has now increased 500 percent to approximately 100. This is no one-off. Wang explains that more non-meat eateries are opening up all the time. "The trend started about seven years ago as the Chinese gradually became more aware of the health benefits. Lots of new vegetarian restaurants sprung up between 2002 and 2006," Wang says. 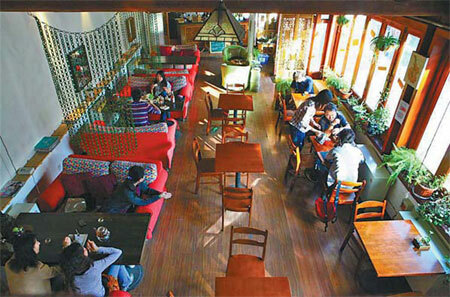 About 15 years ago there were one or two vegetarian cafes but now there are nearly 100 and competition is fierce. 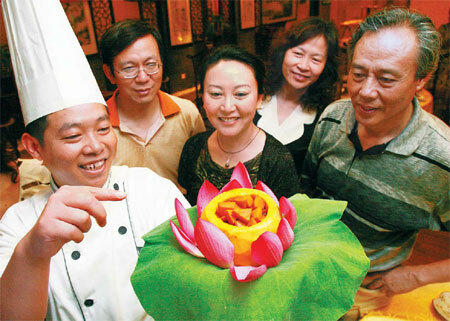 Many vegetarian restaurants promote organic food, a growing phenomenon in China. The Seattle Times reported that overall Chinese organic exports have rocketed from $300,000 in 1995 to about $500 million in 2008. Both vegetarianism and organic foods are associated with healthy eating in China. 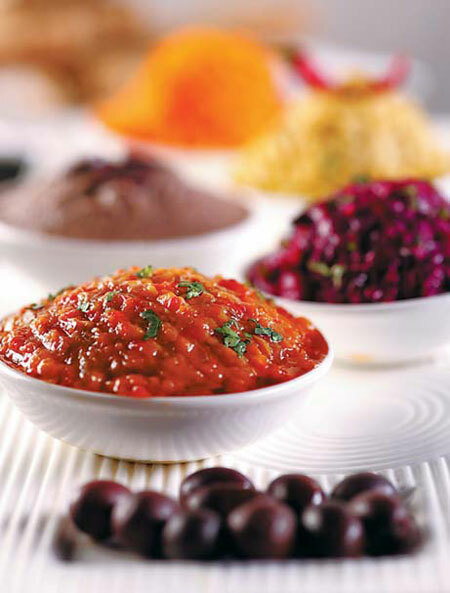 There are three main types of vegetarian restaurant in Beijing. The first tends to be Buddhist or related to spirituality in some way - usually reflected in their candlelit and incense-filled decors. These venues tend to be expensive, and make traditional Chinese-style food. The second type markets itself on creating healthy food, and uses little oil and salt. The last non-meat eatery is Western, typically making dishes such as vegetable curry and sweet potato french fries. One restaurant that stands out, especially because of its luxurious setting, is Pure Lotus in Sanlitun. It is tucked away from the main buzz of the area. Guests enter a dark and mysterious environment that mixes traditional Indian and Chinese Buddhist themes with modern influences. The restaurant is filled with an unusual, menthol aroma and the food is innovatively prepared. The boundaries of vegetarian cooking are being pushed here; plates come out served with dry ice and imported vegetables. The dishes are a visual spectacle and the taste is equally impressive; unusual flavor combinations make this place unique. Despite this, the manager, who wants to be known only as Wang, still worries about rival venues, and suggests that new restaurants may try to imitate Pure Lotus' unique style. "There is a lot of creativity in our restaurant," he says. "Other vegetarian restaurants in China are more conservative whereas this one is quite fashionable." 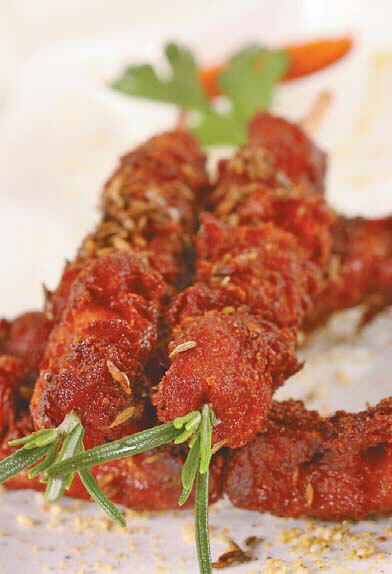 One example of Pure Lotus' innovation is its use of mock meat, which entices otherwise staunch meat-eaters to try vegetarian cuisine. The vegetarian trend tends to be more popular among health conscious women, but not exclusively so. In fact, most restaurants said their customers were well balanced between men and women. At Pure Lotus, the customers are certainly a mixed crowd from a diverse range of backgrounds. "Both young and old come here," Wang says. "Young people come here because it is fashionable and the old visit because of health considerations. A lot of businessmen get together here to avoid drinking too much alcohol and smoking, which are key parts of Chinese dining culture." Wang Rui from the Gingko Tree, says: "Some of our customers have strong beliefs while some of them are not strictly vegetarian. Then, a third type of person will eat here for health and food safety reasons. Most of the time we get young people coming in, aged between 20 and 40. Some are well-educated and I would say we actually seat fewer females, but both men and women eat here". Most vegetarian restaurant owners are in agreement that they have a young clientele, showing that vegetarianism is an emerging, next-generation trend in China. It is also usually richer people who can afford to pay for vegetarian food. It is because of this that Grace Chang, 51, has opened a cheaper fast food-style cafe called Seven Pure Veggies to accompany her more exclusive restaurant in the same area. "It is really only people with money who eat vegetarian food. If a poor person gets 10 yuan ($1.60), he or she will want to spend it on meat, whereas if you are rich, you have more choice. "I think about 20 new vegetarian restaurants open up in Beijing every year. There are three in this area and one just opened recently. I started my second restaurant because I wanted to make vegetarian food something anyone could afford and attract more people to it," Chang says. Contact the writers at sundayed@chinadaily.com.cn. Going vegetarian is now more a matter of health, as much as an enlightened view.